Manuscript submitted January 15, 2009; resubmitted February 16, 2009; accepted February 17, 2009. BACKGROUND: The influence of glucose and fatty acids on beta-cell function is well established whereas little is known about the role of amino acids (AAs). METHODS: Islets isolated from NMRI mice were incubated overnight. After preincubation, isolated islets as well as clonal INS-1E beta-cells were incubated for 60 min in a modified Krebs Ringer buffer containing glucose and AAs. RESULTS: At 16.7 mmol/l (mM) glucose, L-arginine, L-lysine, L-alanine, L-proline, L-leucine, and L-glutamine potentiated glucose-stimulated insulin secretion dose-dependently, while DL-homocysteine inhibited insulin secretion. Maximal insulin stimulation was obtained at 20 mM L-proline, L-lysine, L-alanine, L-arginine (islets: 2.5 to 6.7 fold increase; INS-1E cells: 1.6 to 2.2 fold increase). L-glutamine and L-leucine only increased glucose-stimulated (16.7 mM) insulin secretion (INS-1E cells: 1.5 and 1.3 fold, respectively) at an AA concentration of 20 mM. Homocysteine inhibited insulin secretion both at 5.6 mM and 16.7 mM glucose. 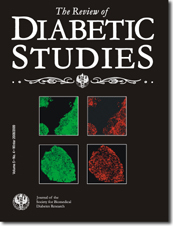 At glucose levels ranging from 1.1 to 25 mM, the equimolar concentration of 10 mM, L-proline, L-lysine, L-arginine increased insulin secretion from mouse islets and INS-1E cells at all glucose levels applied, with a maximal effect obtained at 25 mM glucose. At a concentration of 10 mM, L-arginine and L-lysine had the highest insulinotropic potency among the AAs investigated. CONCLUSION: L-arginine, L-lysine, L-alanine, L-proline, L-leucine and L-glutamine acutely stimulate insulin secretion from mouse islets and INS-1E cells in a dose- and glucose-dependent manner, whereas DL-homocysteine inhibits insulin release.